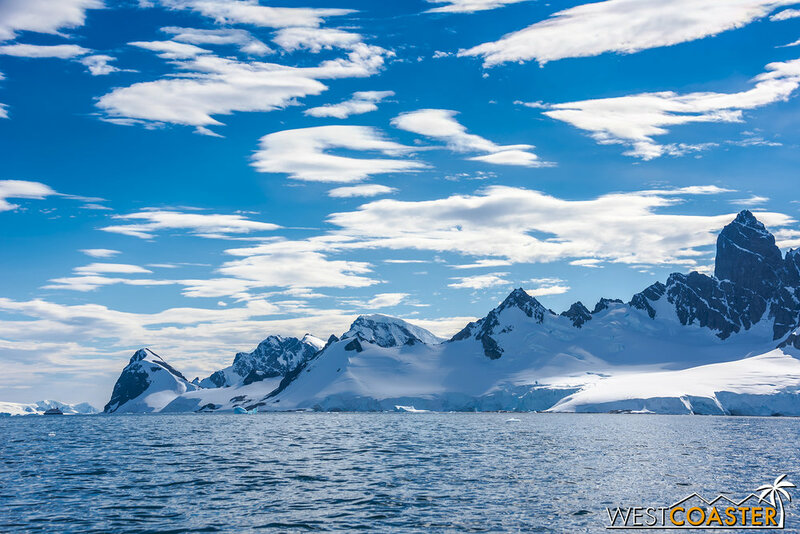 It's almost the end of July, which means that in Antarctica, it's pretty much the cold, harsh, dead of winter. 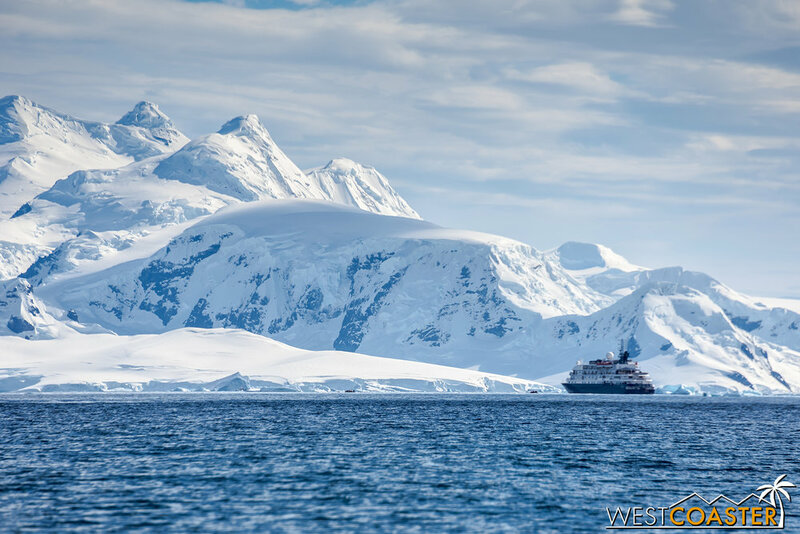 Given that Antarctica in the winter is NOT a place one would want to visit, lets throwback to a more temperate time on the 7th Continent, to January and Antarctic summer, and resume our extended ongoing Antarctic travel blogs documenting my trip there earlier this year! We last left off at the end of our second full day in Antarctica, checking out the iceberg gallery of Pléneau Bay. 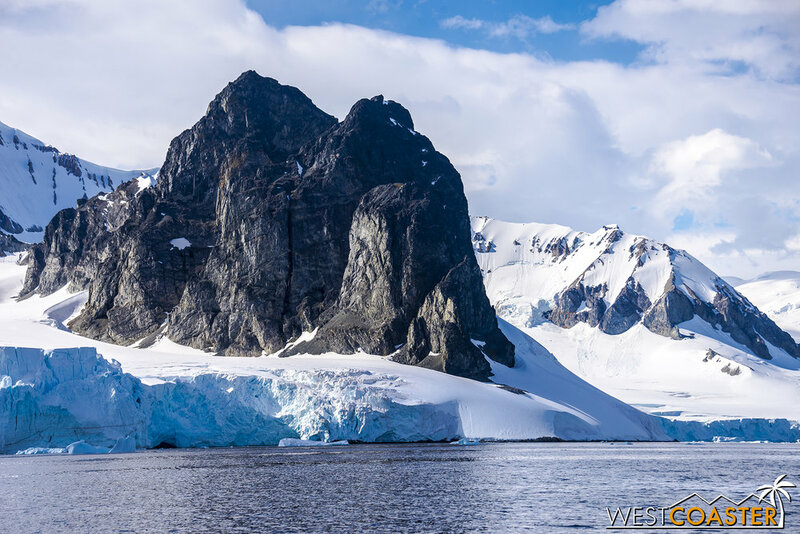 We'll pick up on the morning of full day three, which brings us to Cuverville Island and the Errera Channel--a location that was actually pretty close to day one stop, Danco Island. 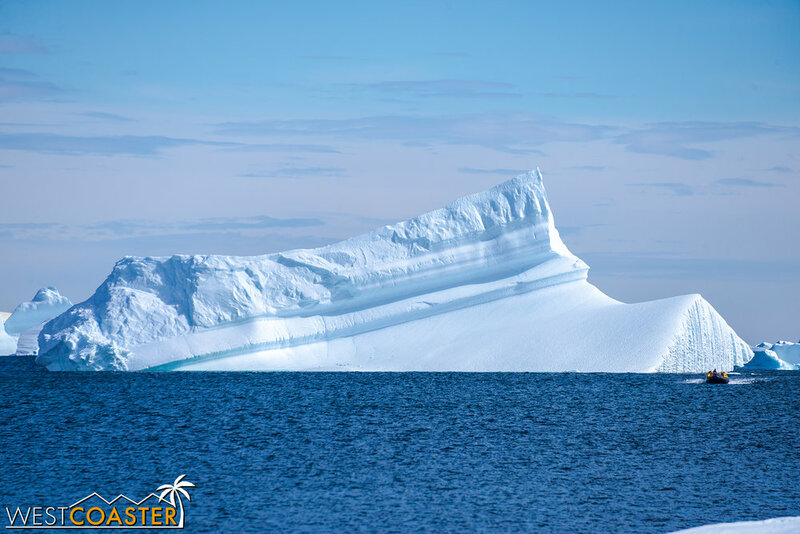 And just like our Danco Island excursion, we were greeted by fantastic weather and the best overall photographic conditions of the trip. 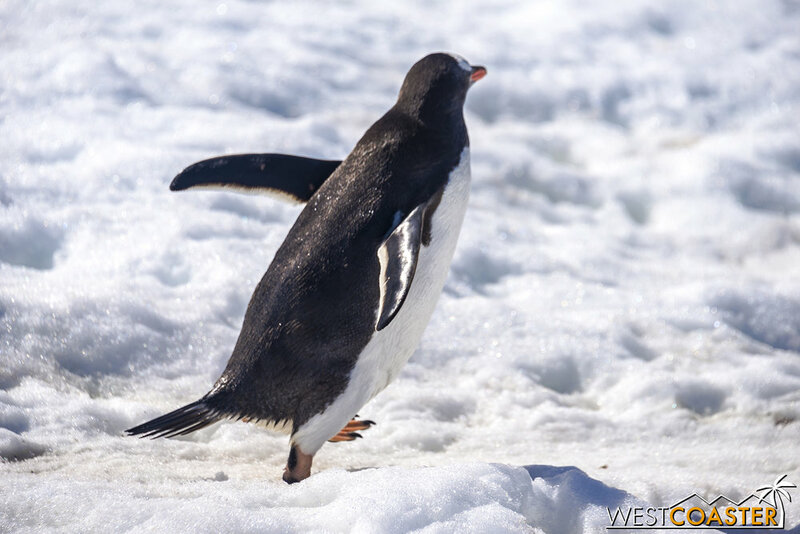 Ready to plunge back into the land of penguins and ice and great unknown? Lets go! 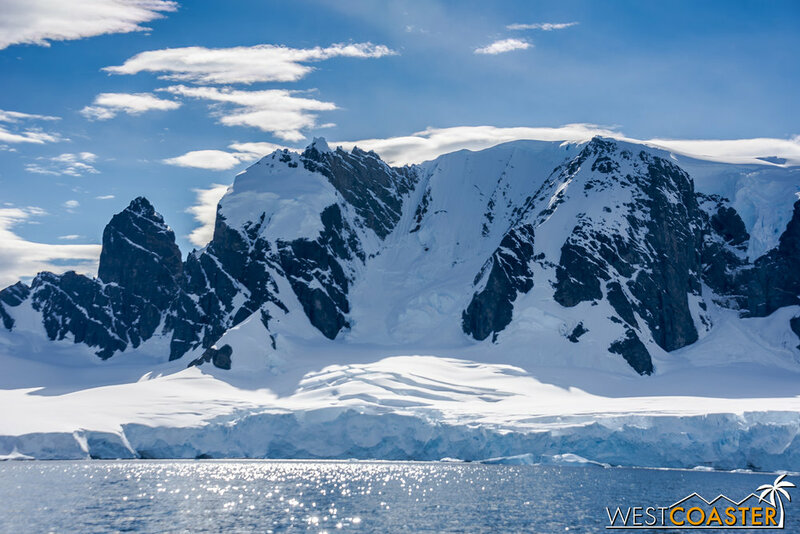 A spectacularly magnificent day kicks off the morning of our third full day in Antarctica. Up until this day, every excursion we had embarked upon had offered some new and unique experience from the last. We had seen old whale bones and settlements at Deception Island. Neko Harbor had brought us our first experience with live whales. 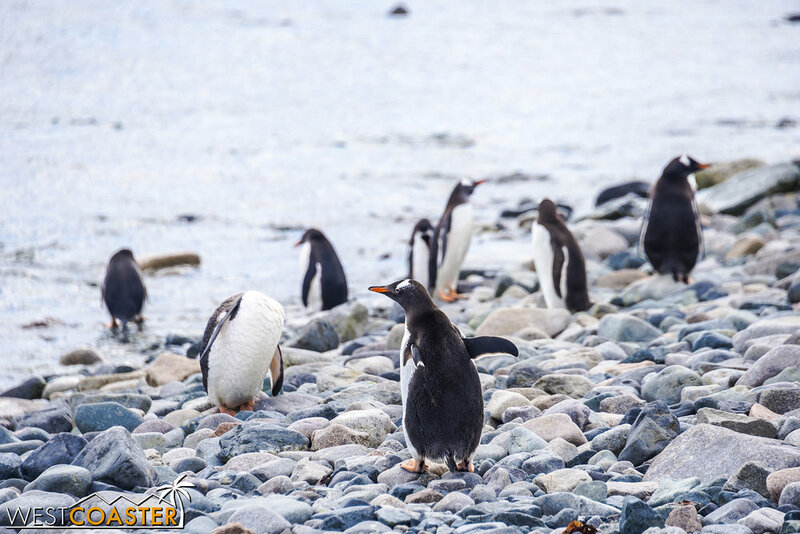 We'd seen penguins everywhere, not to mention gorgeous landscapes. Cuverville Island was our first stop where we didn't really see "anything new." But that was okay, because it ended up being a sort of "best hits" excursion providing a total of nearly every type of attraction we'd experienced previously--all under the umbrella of an absolutely beautiful blue sky day. To start things off, a cruise in the waters of the Errera Channel. The rocks are dramatic and massive. And the towering mountain peaks aren't the only majestic features around here. Our group headed out for a cruise for the first half of our excursion, and in a near repeat of the previous morning at Neko Harbor, we seemed to almost immediately receive notice of whales nearby. 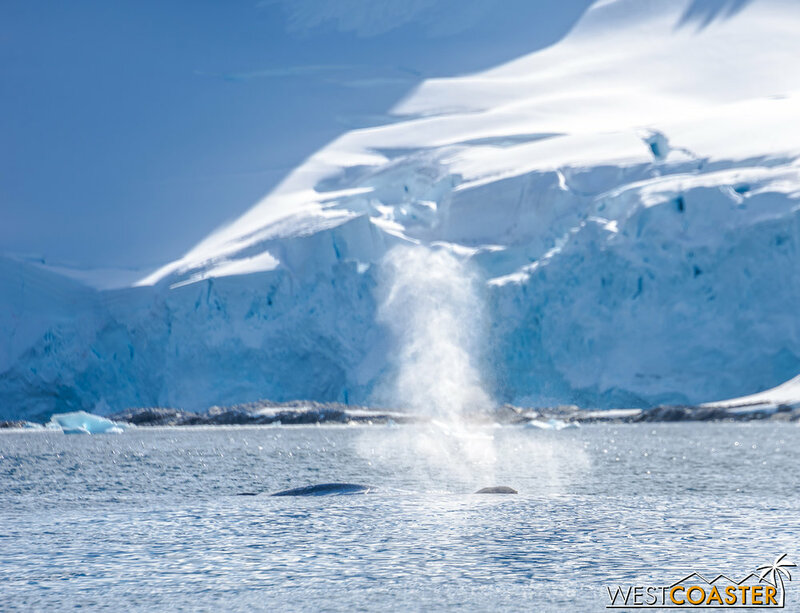 It wasn't long before we found them--a few humpbacks drifting lazily along the water, enjoying the morning sun. The whales weren't to the multitude that we saw at Neko, but they were still impressive sights to see. The spray of their exhales, the crest of their dives, and the flip of their tails as they fluked into the water below was awe-inspiring. And it was even moreso because we actually were able to get a little bit closer to these whales than we did to any in the previous day! 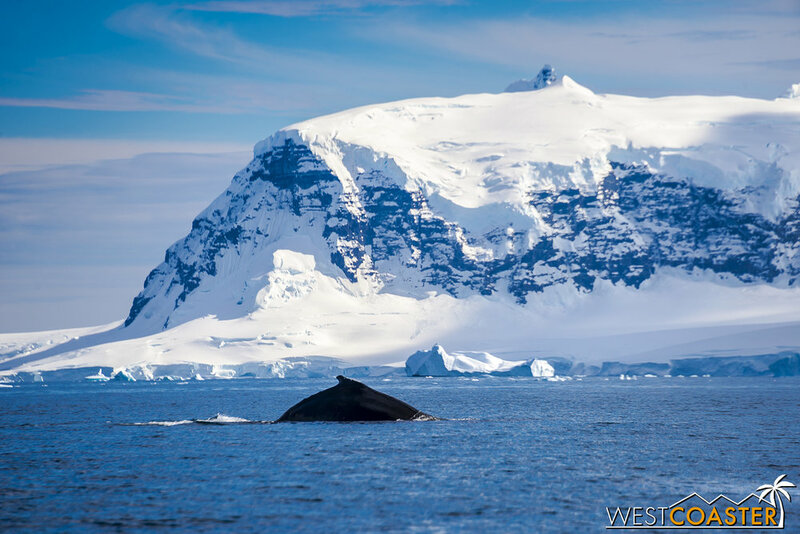 As luck has it, several humpback whales are nearby! A fluking whale, tail up and everything. The whales actually get surprisingly close! A Quark Expeditions zodiac raft for perspective. Look at how near the whales drift by! 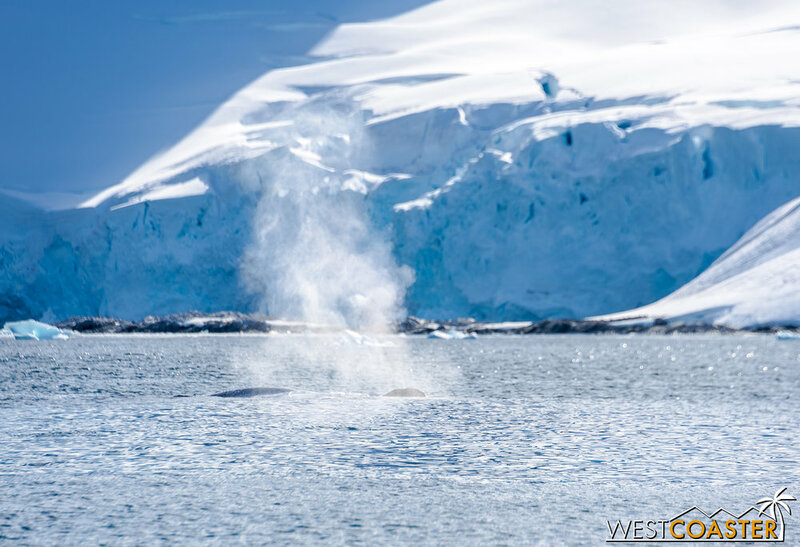 Whales would end up being a bit of a running joke for the rest of the trip, because having been immersed into the Antarctic wild, we started seeing Antarctic imagery everywhere. 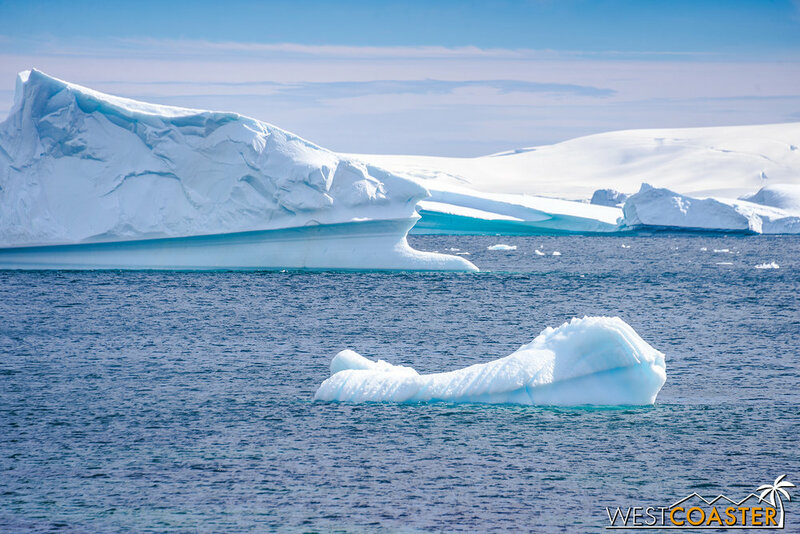 That meant ice formations and icebergs that looked like whales. Just imagination? Perhaps. But such was the loose atmosphere we were all enjoying. 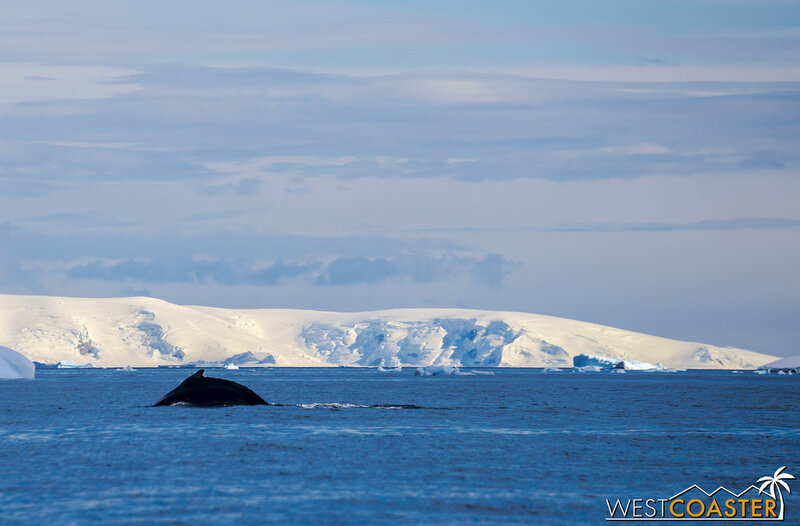 Nature has a sense of humor, so in addition to real whales, there are icy versions. 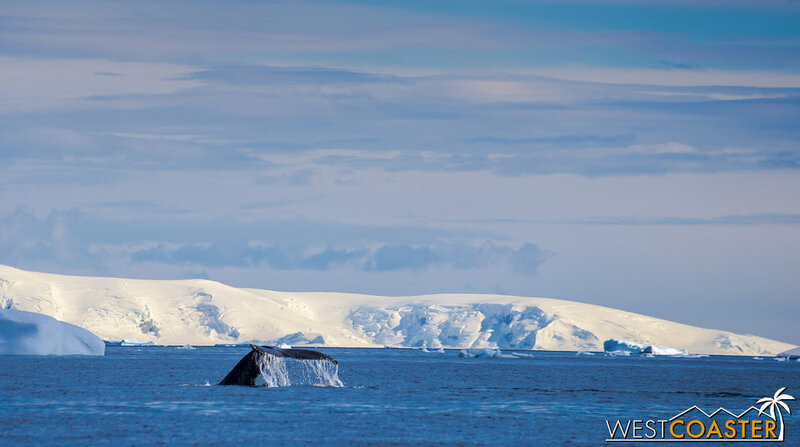 Or at least an iceberg that looks like it has a small whale's tail on top. This one, on the other hand, is veritably whale shaped! We spent a pretty good amount of time with the whales and also with cruising around the channel, enjoying the scenery. The lovely day amplified an already spectacular setting, making every view a picture-perfect postcard view. 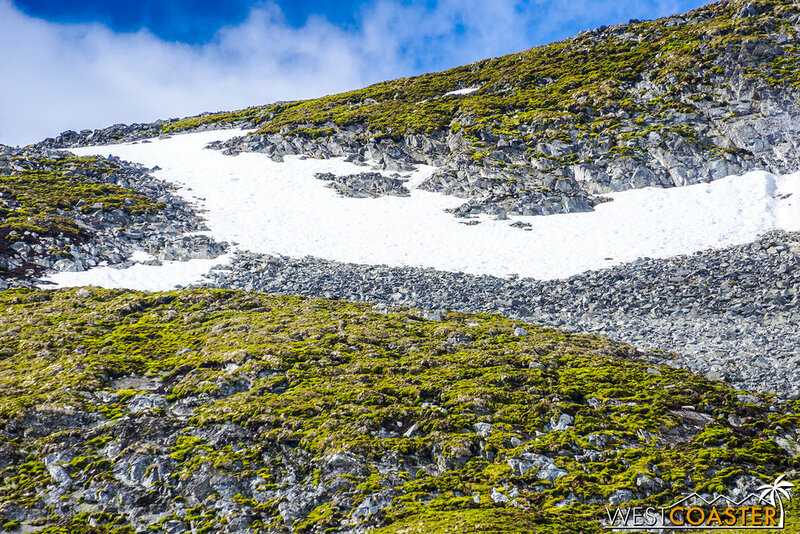 Cuverville Island in particular had an interesting mixture of packed snow and bright greenery, with verdant moss covering a lot of its craggy hills. From certain perspectives, I almost felt like I was back in Iceland, with its mixture of dramatic geology and lush plant life. Our landing for the morning: Cuverville Island. The island itself is surprisingly green. 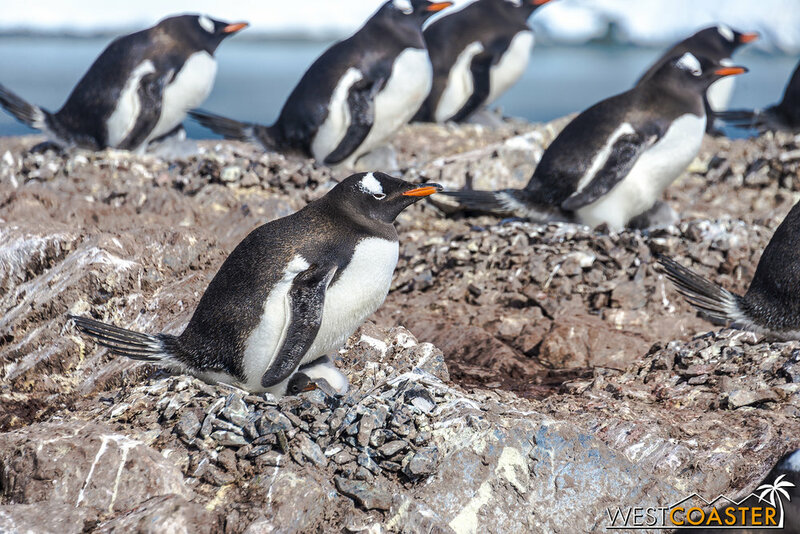 As we neared the island, we recognized the now-unmistakeable smell of penguin guano, indicating a large presence of those adorable fluffy birds nearby. 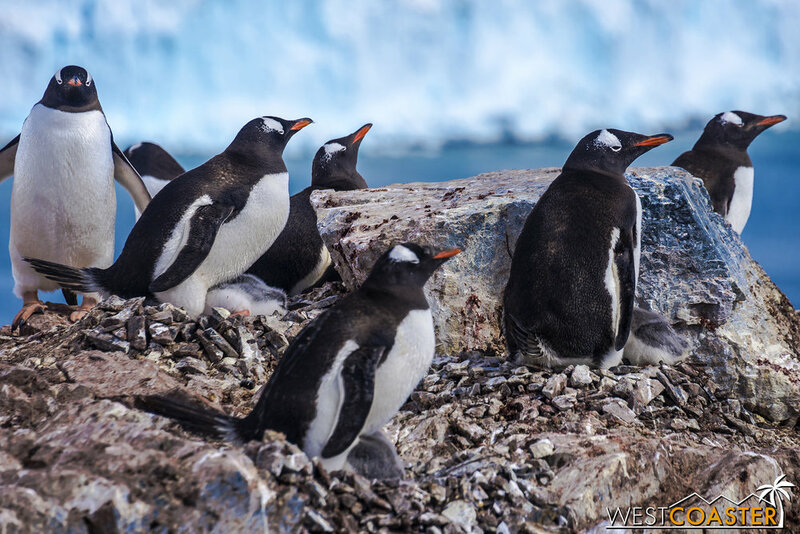 As it turns out, Cuverville Island is home to the largest nesting colony of gentoo penguins in Antarctica, with over 6000 pairs of nesting penguins supported on the island. 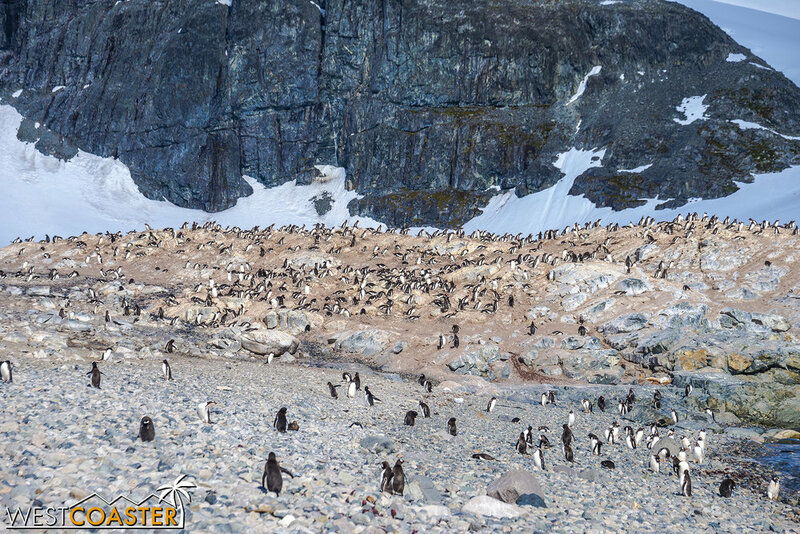 We thought that we had seen more and more penguins with our previous landings, but this site put them to shame! And it has a healthy penguin population. 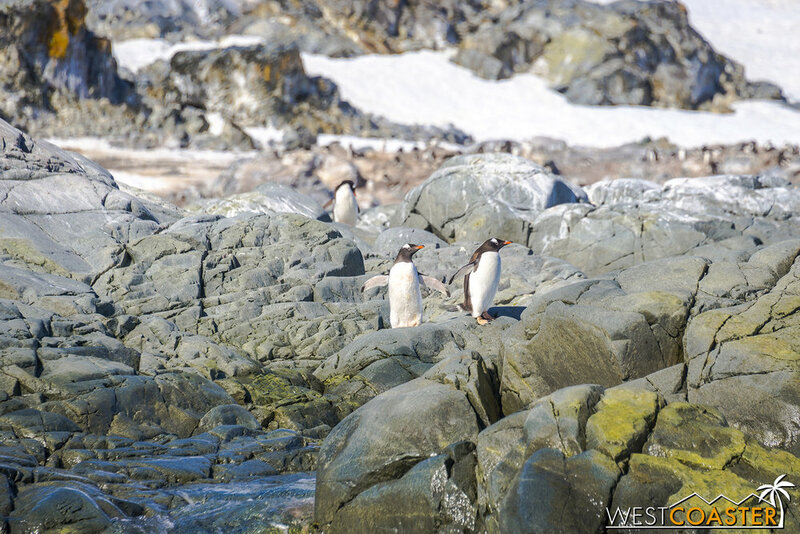 Penguins gather on the rocks near the moss. Landing on the rocky beach. 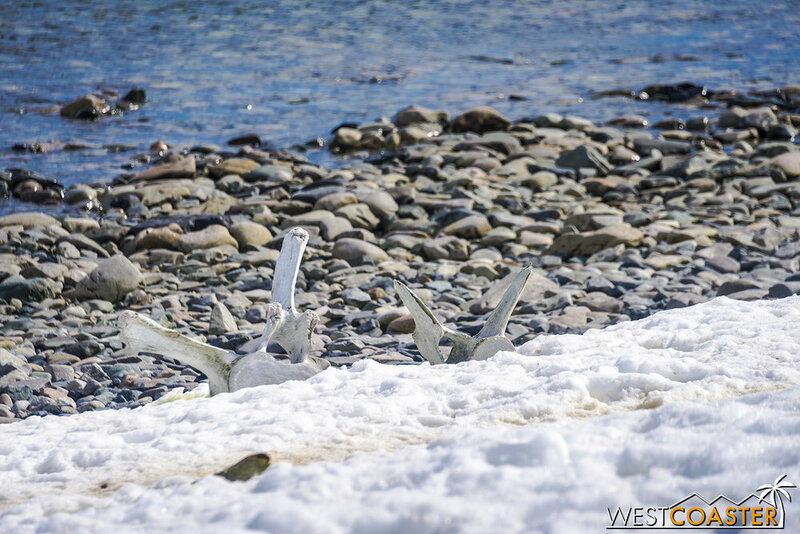 Our landing along the rocky beach was smooth, and we spent a little bit of time looking at the weathered remains of whale bones scattered across the stones. 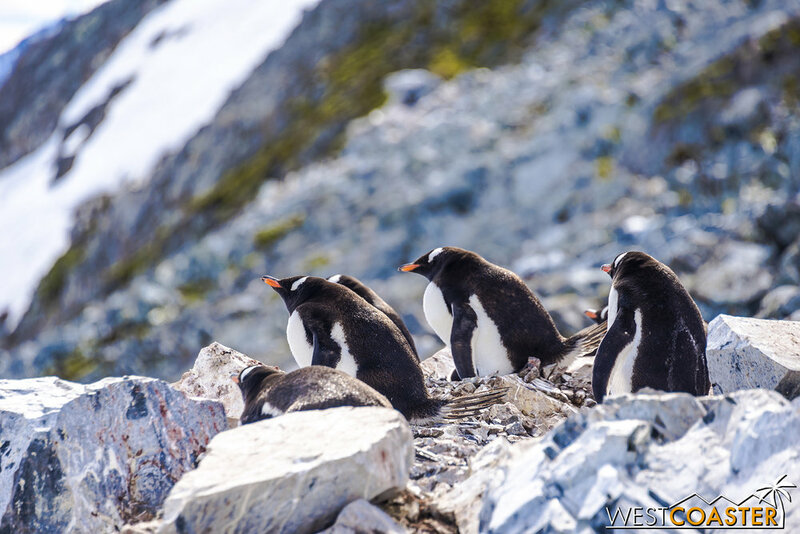 Antarctic regulations prevented us from touching them or taking them (leave no trace--including leaving things be), but they were interesting to see up close. 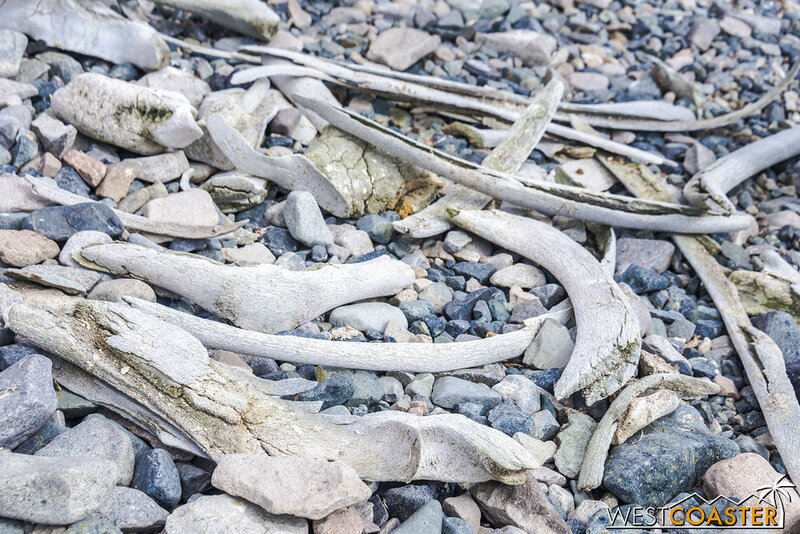 Whalebones are scattered among the rocks of the coast. 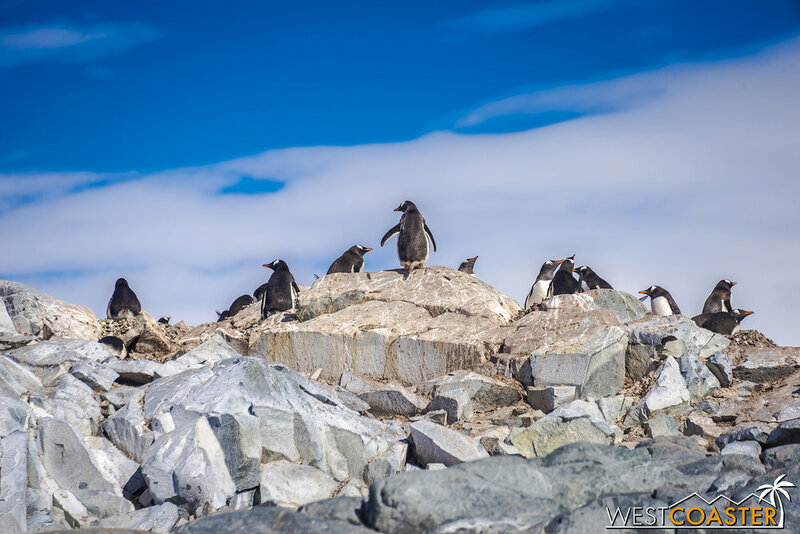 Curious penguins scuttled around us as we made our way inland toward the slope that would constitute our morning hike to our lookout point. They seemed particularly energetic (maybe it was my contrasting viral infection--settled in at full effect at this point and forcing me to labor through trudging uphill--that made them seem that way), hopping along and hurrying up their penguin highways back up to their rookeries to return to their families and bring food to their young. It was pretty adorable to watch them waddle along, stopping every little while to gauge their progress or take in the surroundings. And their recognizable squawks to each other seemed both cacophonous and comedic. 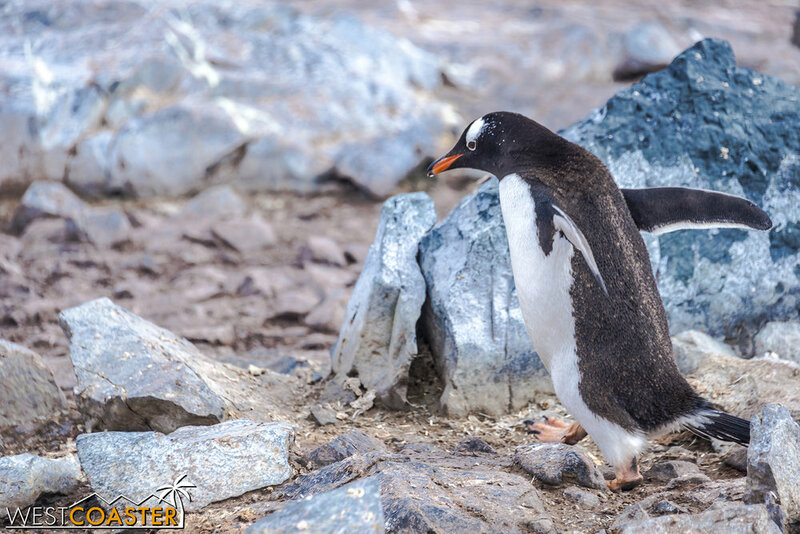 The gentoo penguins are quite populous! This one is practically skipping around. 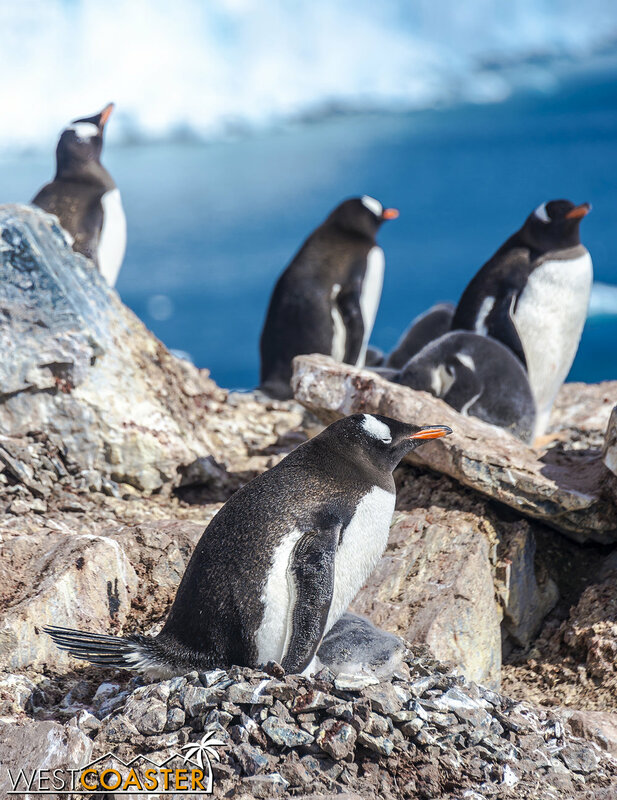 The little critters scurry up their penguin highways, back to their rookeries above. Although the hill we climbed was only a few hundred feet of elevation gain at most, I struggled up because of my illness, taking each step at a time. Still, I couldn't help but appreciate the raw, rugged splendor that spread all around me. This was emphasized by the fantastic view that greeted us at the high point of our path. 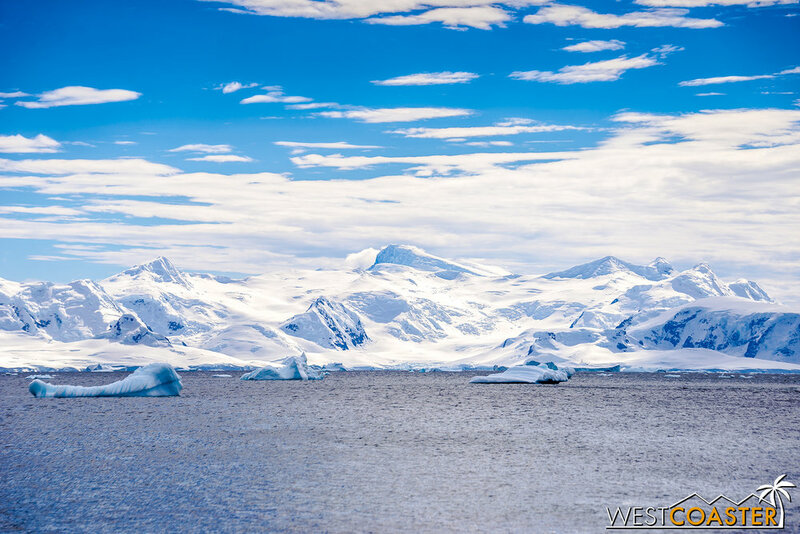 The Errera Channel spread out all in front of us, a shimmering azure blue meeting a similarly crystal sky with puffy white clouds. 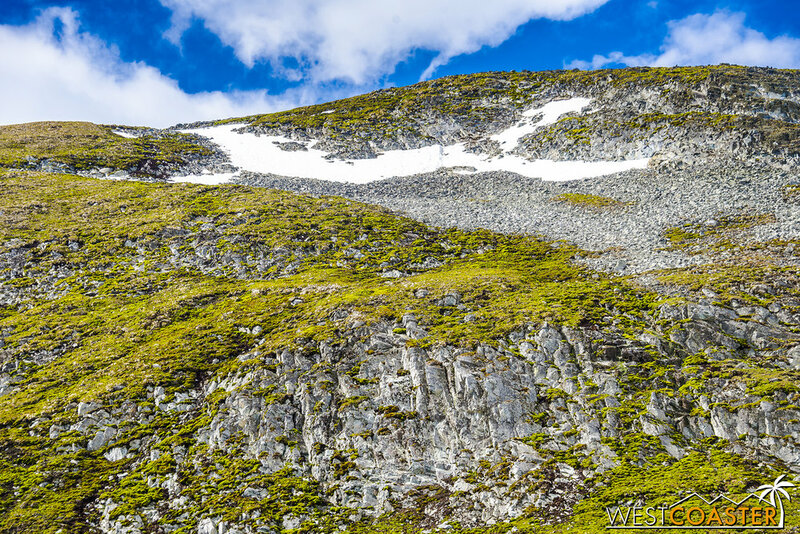 The jagged rocks of the surrounding hills and mountains also presented a fascinating sight. The mossy crags and pockets of ice were unlike anything I had seen before, giving a sense that was otherworldly but familiar at the same time. The Iceland connotations persisted, though elements that I saw in different locales in Iceland were combined in the same scene here. Starting our hike up the slope. The view from near the top of our hike is incredible. The verdant geology certainly doesn't feel Antarctic. In fact, there's a bit of an Icelandic countryside feel here. 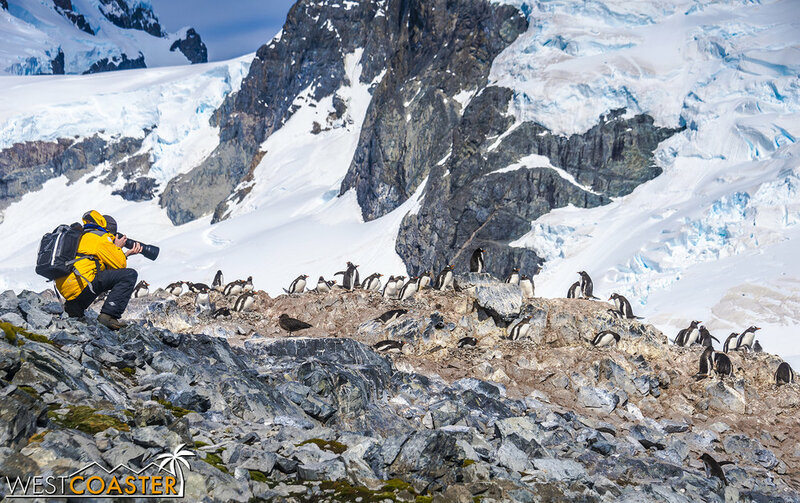 In addition to the penguins, Cuverville Island provided an unforgettable opportunity to observe penguin chicks as well. The cute little fellas could be seen in nests everywhere--some a couple months old and already starting to shed their initial coats, others only a week old and still bizarre looking and bare. But they were irresistible to our group, who ooh'd and aah'd at their sight. Two penguin parents share a loving moment while framing their chick. Another penguin nurses a younger chick. Plenty of penguins are gathered around. A view of the Errera Channel. Another Quark Expedition guest prepares for a photo of the wildlife. I stayed at the top as long as I could, both resting and soaking in every last drop of the memorable panorama that unfolded in front of me. 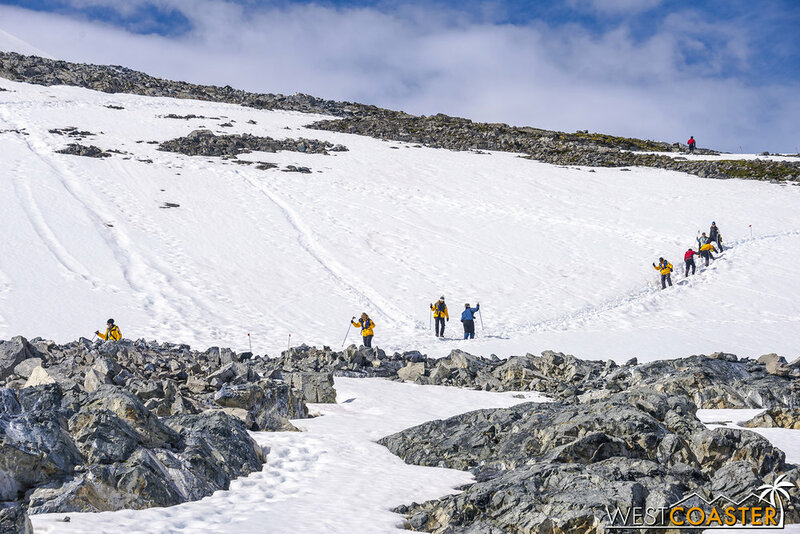 Standing here, recovering from my uphill, taking in the crisp, refreshing Antarctic air, I once again felt a tranquility and sense of fortune that had marked similar summits on previous days. But with how beautiful this particular morning was, my heart and appreciation swelled even greater, realizing just how incredible it was to behold such a sight. This was nature in its raw and pristine state, an example of how astounding our miraculous planet can be, and I was having the good blessing of being able to experience it live. It reinforced to me how important it was to preserve such treasures. I've always had a bit of an environmentalist streak in me, and while I'm not to the level of an open activist, I do firmly believe in minimizing our impact to our world to preserve its resources for generations to come. It may often seem as though our actions have little effect on others, but added up together, they can certainly erode the unspoiled magnificence of our planet's natural wonders--not to mention have detrimental effects at everyday places closer to home. 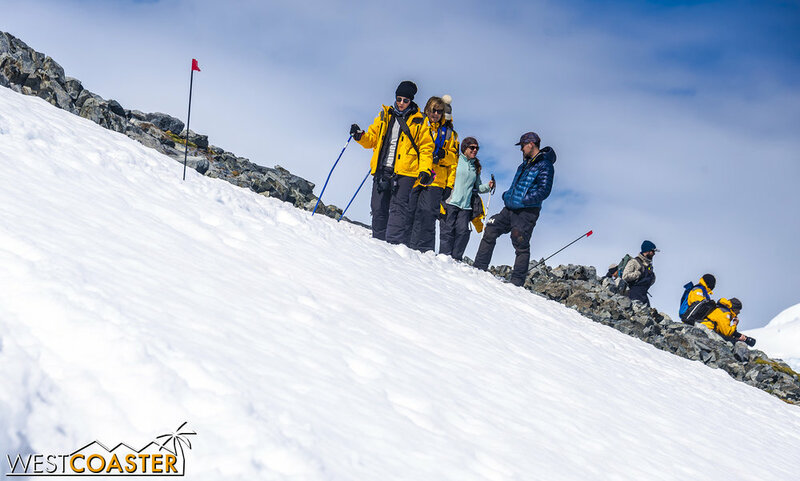 When we first began our journey, our expedition leaders at Quark told us we would be returning as stewards for Antarctica--messengers to spread the grandeur of this unbelievable place and promote the preservation of such gems. Seeing all of this was certainly inspiring to that endeavor! Penguins aren't the only birds around. This skua waits for a small chick to wander too far away from its parents. The penguins are protective, though. 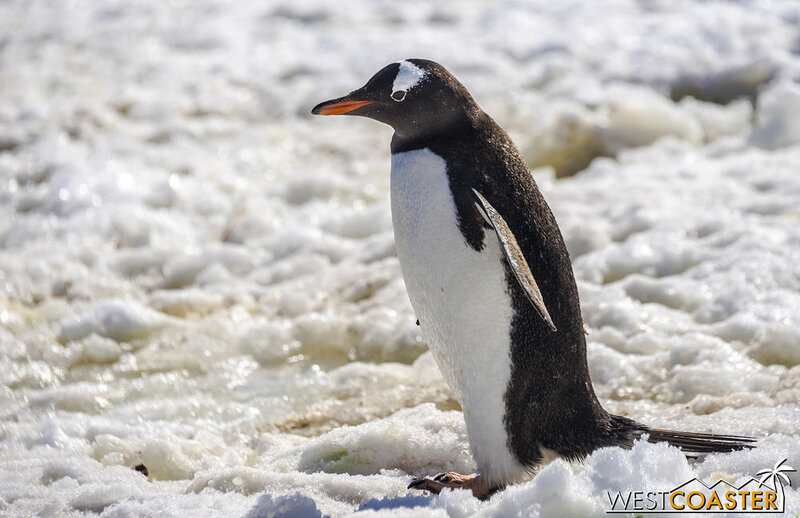 More penguin photos on this beautiful day. They make for great subjects! Savoring the last bit of this resplendent landscape. 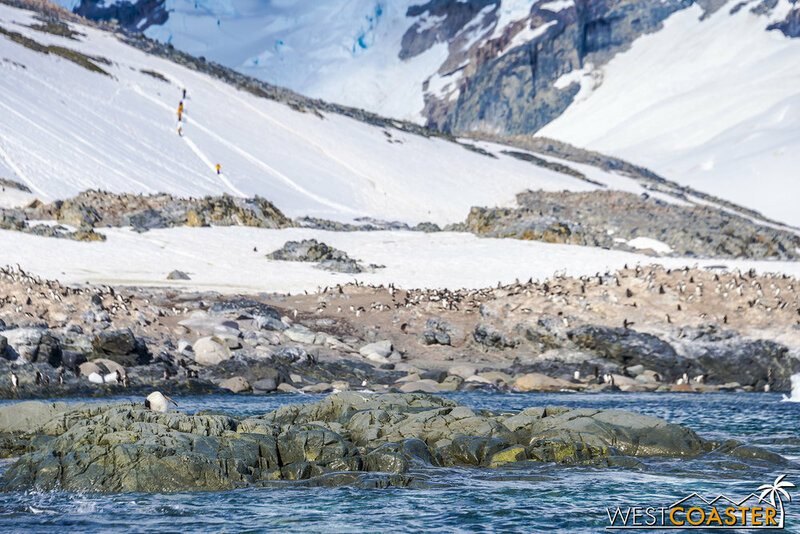 One never tires of penguins in Antarctica. It just isn't a thing. Soon enough, as late morning approached, it was time to return to the coast. There, we had one more amusing witness of the absurdity that penguins bring. 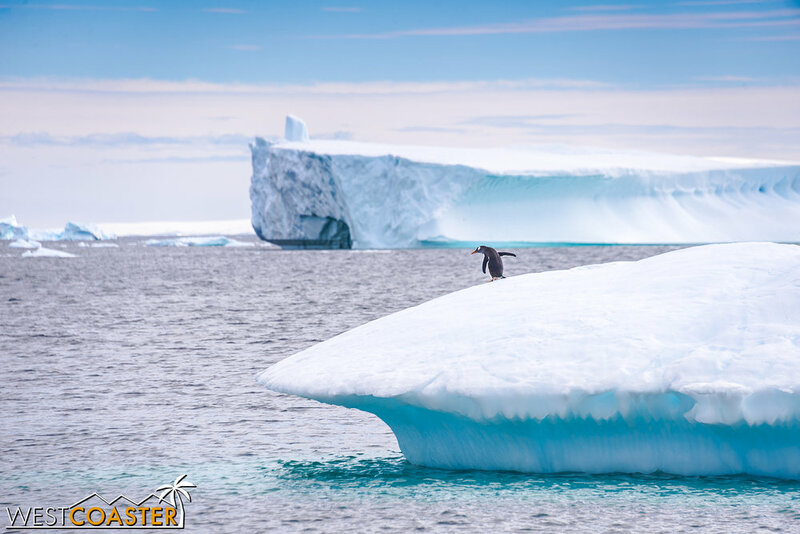 For their sleekness and fluidity in the water, penguins are still awfully clumsy on land, and this was best evidenced by a particular penguin, perched on a small iceberg, slowly teetering toward the edge to dive into the water. "Dive" would be misleading, though, because that implies a sense of grace. The way this particular penguin ended up in the water anything but graceful. Perhaps, as Woody or Buzz Lightyear might put it, it was "falling with style." In any case, it was hilarious to watch, especially as we made up an internal dialogue for the penguin in question. Dive... fall... either way, water entry successful! With that, it was time to get back on the zodiacs to cruise back to our ship. Lunch awaited, but an afternoon down to Port Lockroy--home to the world's southernmost post-office, a functioning museum, and small scientific settlement. More on that in our next post. But for now, it was time to rest. What an amazing land this is!